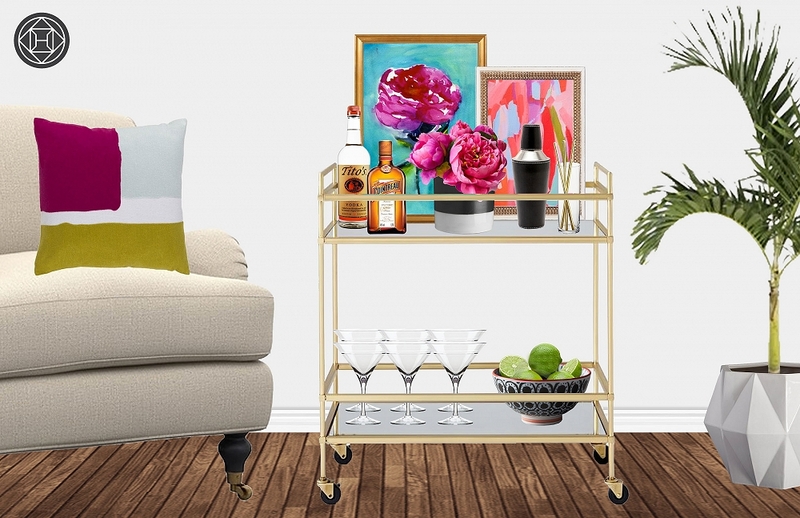 Simultaneously shiny and sophisticated, this bar cart package is a perfect fit for glamorous cocktail gatherings. 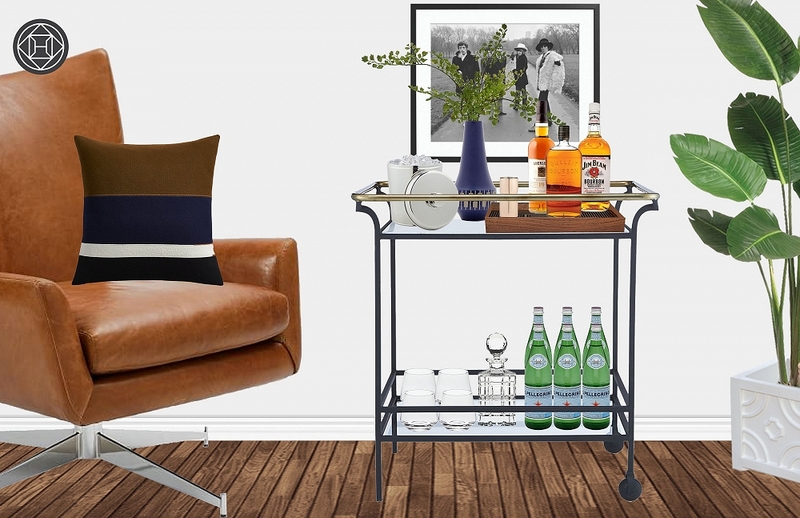 Warm textures of wood and leather pair perfectly with this bar cart styling's sophisticated modern aesthetic. 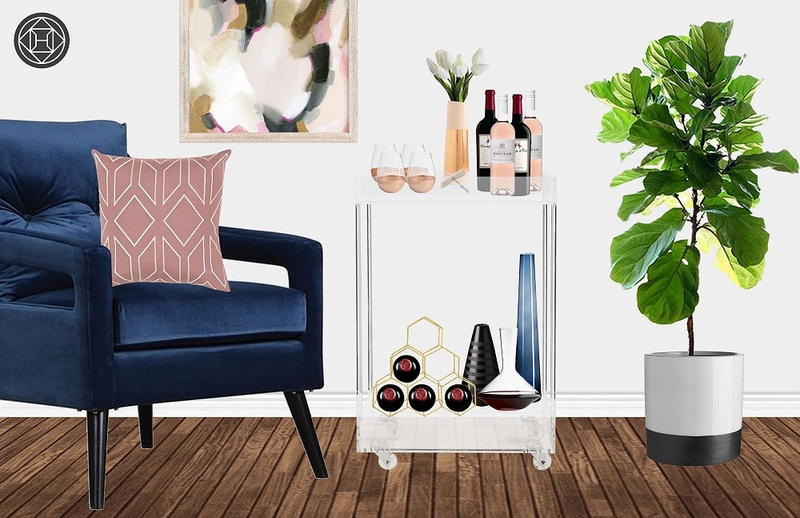 With smooth lines, subdued patterns and funky details, this perfectly-balanced bar cart setting is oh-so-refreshing. 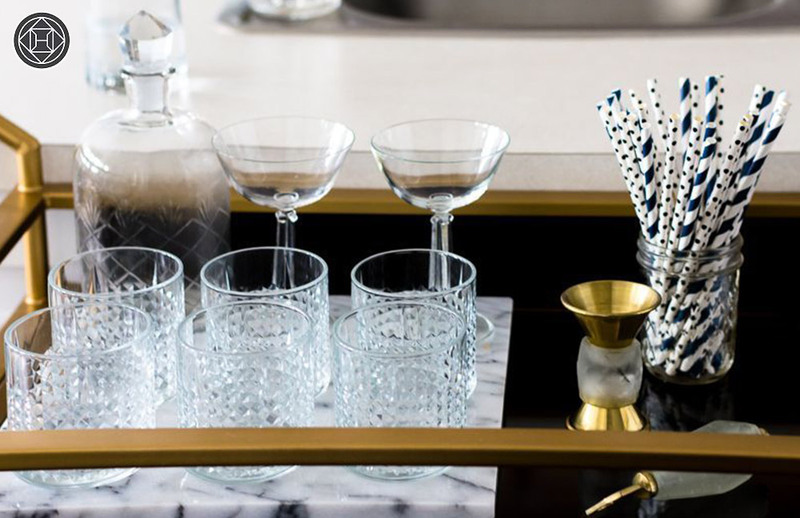 Bar styling is so delightful that we often find ourselves refreshing spaces with little more than a bar cart change up. 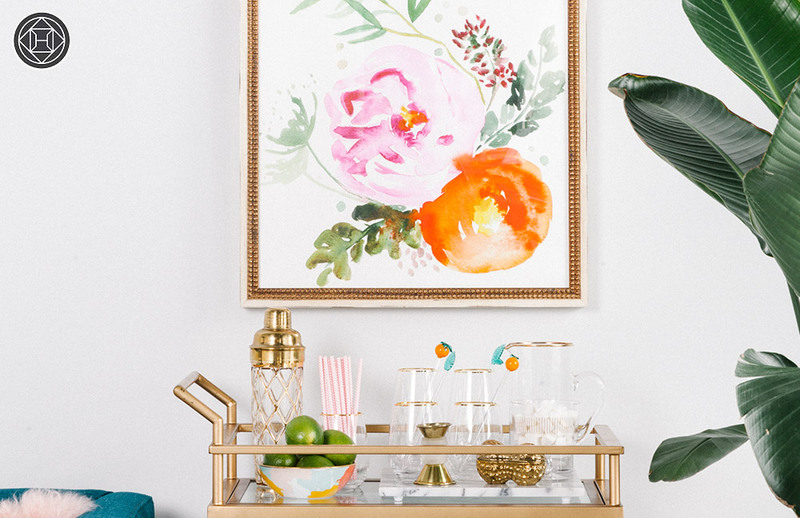 Bar carts are every interior designer's secret weapon. They're easy to style and fast to impress. Have we got your design attention? 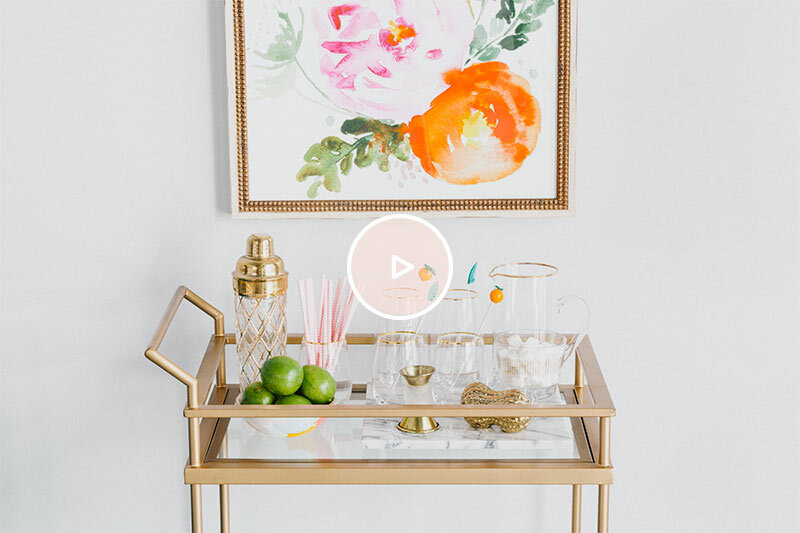 Need a beautifully-designed space for your bar cart?